The Electronic Entertainment Expo is undoubtedly the industry’s premier event, an annual video game extravaganza of landmark reveals, fist-pumping moments, and blunders so cringe-worthy, we’re left with no choice but to hide behind our hands with embarrassment. 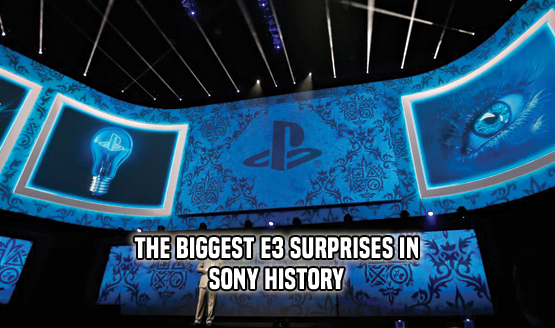 Yes, for all of the hype and excitement generated by E3 with each passing year, the trade show has served up its fair share of baffling moments since ’95, and on the eve of E3 2018, we’ve combed through the gaming archives to cherry-pick the biggest E3 surprises in Sony history. Of the moments mentioned, what is your pick of the bunch? Or perhaps there’s one Sony surprise, in particular, that we overlooked? You can, as always, drop your thoughts, comments and concerns via the usual place.